Still Here: In order to Achieve Certainty with regard to the Sister Lucy Case, the Investigation Using the Latest Facial Recognition Technology Will be Extended into July. The Investigation is International, the Technology is the Most Up to date, and the Professionals Involved are of the Highest Quality. They are producing a Report that is Scientific and Cannot be Gainsaid. Please Bear With Me. Just bear with me into the month of July. The Investigators are professionals who will only put their names to a report that is incontrovertible. I am in need of donations to Sister Lucy Truth. Please be generous in your tax-deductible donations. Results of the Sister Lucy Truth Investigation Coming In. Please Bear With Me. Sister Lucy Facial Recognition Analysis Going on Right Now at 3pm Pacific Time. It is a complex and exact process. I will let you know when I know. Breaking: Sister Lucy Facial Recognition Analysis to be Done Tomorrow June 28th, Vigil of the Feast of Sts. Peter and Paul. Results should be Known at the End of the Day. The promised Facial Recognition analysis by the very latest programs will be done tomorrow June 28th! About 625 different comparisons between high-resolution photos will be performed. Involved in this work will not only be the Investigator that I have hired but owners of BILLION dollar companies using technology which the United States government itself uses for facial recognition work. Granted I am nothing, but the fact that this investigation, done by state of the art professionals, has been ignored by the "Catholic media" is to me astounding. I need everyone to do two things. 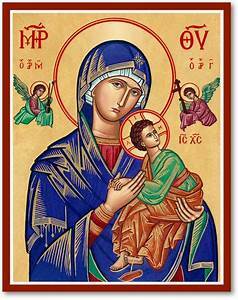 Pray to Our Lady of Perpetual Help today on her feast day for this project. 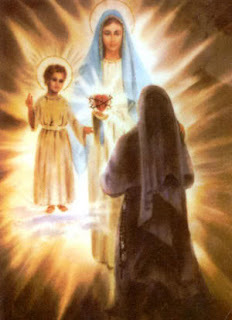 Second, I need money, because if we find out that there was in impostor put in the place of the real Sister Lucy, I want the investigation to move on to answering two further questions, 1) What happened to the real Sister Lucy; 2) Who was the impostor(s)? If the Remnant Gives You a Lemon, Make Lemonade! 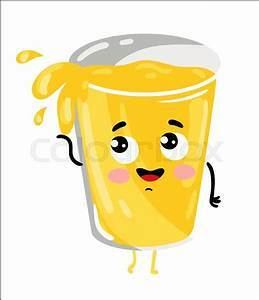 Louie's Hard Lemonade --- Not Sold In Modernist Rome. Fr. Chazal Responds to the Gallican Challenge! : My Question, Are we Trying to Save Traditional Catholicism by Directly Contradicting Traditional Catholicism? As the new Rome sinks to new lows, in this never ending crisis of the Church, sedevacantism is only an added confusion. 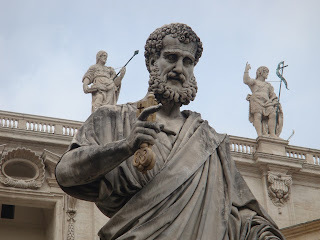 All of us agree those in Rome should not be there, but in the lack of courageous prelates to take them on, some say they lose office automatically (sedevacantists), and others, much to the exasperation of the former, leave it to God. Yet some of the questions you raise are interesting. Are we going to hold indefinitely that there is a Pope over there in Rome? What degree of heretical depravity is it going to take until we finally admit that the pope is no pope? 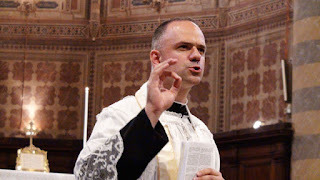 Clerical Rumors: Who is Ahead in the Final Stretch of the Race for SSPX Superior General. Some Surprises, Indeed. Dr. Chojnowski: Of course I cannot reveal my sources for any of this discussion as to the frontrunners for the position of Superior General of the SSPX, so take this with a "grain of salt." 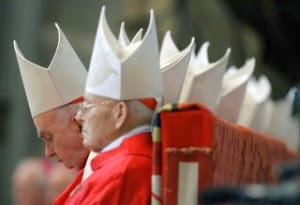 The Gallican Challenge: Will Michael Matt, Chris Ferrara, Brian McCall, John Salza, and Robert Siscoe Approve of or Reject the Idea Advanced by Elizabeth Yore at the Remnant that a pope can be removed by the College of Cardinals? I challenge them to say simply YES OR NO. I SAY NO! READERS PLEASE RESPOND TO THE CHALLENGE! Here is the critical text from Elizabeth Yore's article and the link to the complete article. It is even more indicative of one's over all doctrinal stance than debating about a pope falling into heresy. Here, the College of Cardinals would be exercising authority over the occupant of the Holy See to remove him from office because of malfeasance in office. Contemporary Canonist Shows that a Publicly Heretical Pope is No Pope at All. Let us Watch Therefore Who we Call a Heretic! Suarez ex Machina? : How can we defend Catholic Tradition by rejecting the Ancient Teaching of the Church with Regard to Who is in the Catholic Church and Who is Not. Public Heretics are Outside the Church and Cannot Hold Ecclesiastical Office. 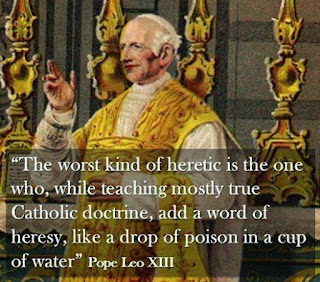 Here is the Relevant Text from "Heretic Pope?" by Fr. Kramer --- who is not a Sedevacantist, yet is one who Blows the Clear Whistle of Catholic Doctrine on Salza, Siscoe, and, since they have nearly identical positions, Fr. Chazal and Bishop Williamson. Let's Stop trying to Mimic the Gallicans and Find a Real Solution to the Horrible Situation we are In .